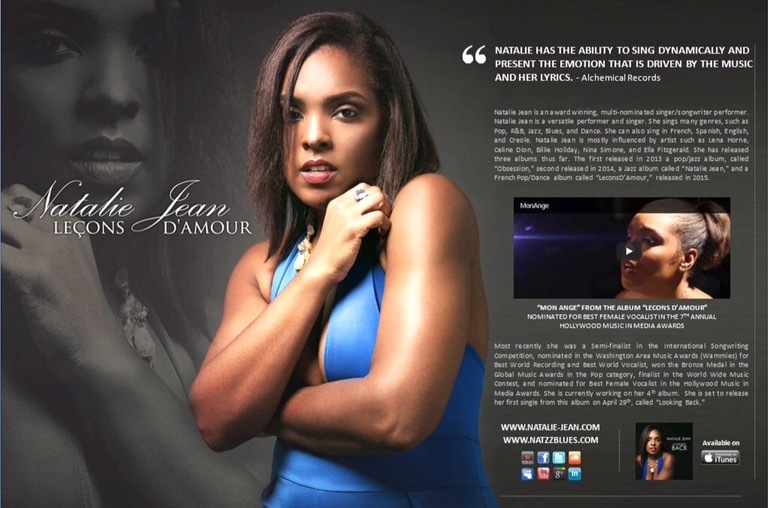 After scoping out the aura, vibe and sound that talented Bombshell Starlet Natalie Jean has put into the musical presence and image around her, it comes as no surprise that she is well on her way to some major things! She is quite the trifecta; brains, beauty, talent…you name it. She’s been nominated for a slew of Awards, and has won many. And right now her most recent remix, “Red Room”, has really given her career a major boost and has been recognized on many other platforms like Jamsphere and ReverbNation — in which she also signed to donate 1/2 of her album sales to a charity that ReverbNation is doing. “Red Room” to me is an explosion of high-end EDM and Pop sensibilities with a heavy presence. And with Natalie Jean‘s perfect range for this song with a very expressive and well-toned voice to compliment the song in whole, we have a masterpiece with dead-on production value that puts all the important musical key factors together; making the song catchy, exotic, free spirited, and very uplifting. This is one for the books if you’re an avid EDM or Pop enthusiast. You won’t be disappointed in the least. This is the type of artist to really keep your eyes on. Or perhaps reach out to before it’s too late. Because like said, as a professional musician myself, my professional opinion is that she will be going to bigger places on the horizons. Mark my words, folks. Artist Reach approval 100%.